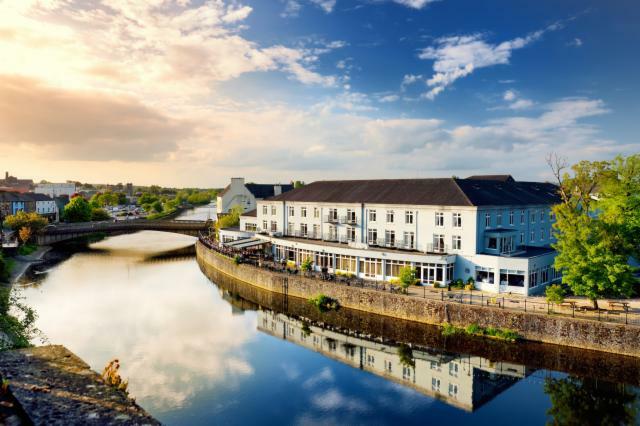 The Kilkenny River Court Hotel is located in the centre of Kilkenny City at The Bridge, John Street, Kilkenny. 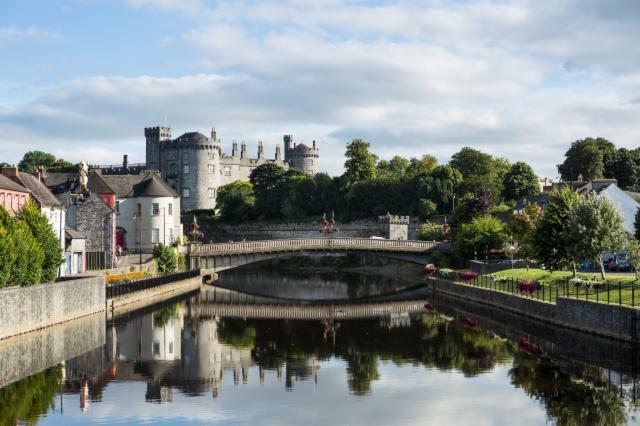 The Kilkenny River Court Hotel is located in a beautiful quiet courtyard right beside Kilkenny Castle on the banks of the River Nore. 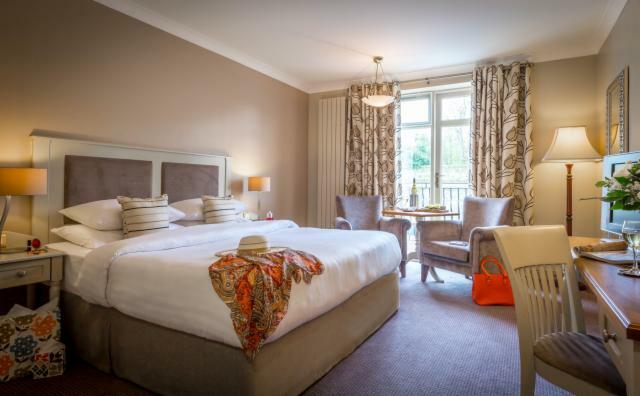 Stunning views of Kilkenny Castle can be enjoyed from most of our bedrooms, the Riverview Bar, the Riverside Restaurant and our very spacious Terrace Area running the length of the Hotel. Our location provides a perfect backdrop for photos should you be marking a special occasion or simply wish to make a photo memory of your stay at the Kilkenny River Court Hotel. Only 5 minutes walk from Kilkenny train station. We are situated through an archway just before/after John's bridge - see detailed map below. Please note that the archway has height restriction of 2.3 meters high. For coach entry to the hotel, access John Street from the railway station and turn left at Shem’s bar onto Maudlin Street. Keep going straight down (its a one way street) and you will go past houses on your right. You will see a tall stone ruin of a building on your left, there will be a sign pointing right saying county council car park. Take this right and this is the access point into the Kilkenny County Council offices and then to our larger carpark. Keep going straight and down the lane and you will come to the back of the hotel. You will see a large carpark on your right this is where you can park. Buses can park in this car park. (it's our overflow car park) Don’t go through the next set of black gates as this may be too tight for the coach to turn and get back out. Stay in the main carpark. Follow the signs for the M50 motorway heading southbound. Leave the Motorway at junction 9 which brings you onto the Red Cow roundabout. Here take the N7 South (Naas Dual carriageway), driving in the direction of Waterford, Limerick. This will automatically turn to the M7. Leave the M7 at junction 11 and take the M9. Continue along the M9 – and exit off the Motorway at Junction 8 signposted for Kilkenny. 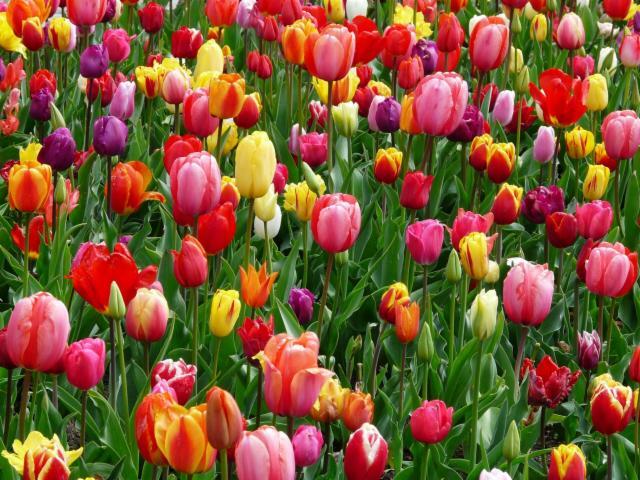 Go straight through the first roundabout. At the 2nd roundabout which is the Hebron Road Roundabout with the Toyota Garage clearly visible take the 2nd exit leaving the garage on your left. You will reach a set of traffic lights go straight through. This will take you down to a roundabout where you take the 2nd exit leaving Nolan Park GAA Stadium on your left hand side. Down to the next roundabout where you take the 1st exit. Continue down to the next set of traffic lights with McDonagh Junction on your left, at these lights go straight through which will take you onto John’s Street. You will see the entrance for the Kilkenny River Court on your left just before the bridge in the centre of the city. Approximate driving time from Dublin airport is 1 hour 10 minutes. Take the N25 from Rosslare towards New Ross, from here you can take the scenic route through Thomastown, Bennetsbridge and into Kilkenny. Alternatively, from New Ross head towards Waterford and from Waterford pick up the M9. Exit the M9 Motorway at Junction 9. Take the 1st exit at the roundabout as you come off the motorway for Kilkenny (N10). This will take you straight through the village of Danesfort. At the next roundabout take first exit straight through again for Kilkenny (N10). At the next roundabout which is the Waterford Road take the second exit. At the next roundabout with Lidl take the first exit. This will take you into the city and at the first set of Traffic lights continue straight through. You will see the entrance for the Kilkenny River Court on your right just after the bridge. Approximate driving time from Rosslare is 1 hour 30 minutes. Leaving Cork take the N8 to Michelstown. At Michelstown take the M8 to Dublin. Exit off at Urlingford and continue along the R693 towards Freshford. From Freshford continue in the direction of Kilkenny. You will enter Kilkenny City past Aut Even Hospital on your left. Continue past St.Luke’s Hospital and at the roundabout take the 1st exit. At the second roundabout take the first exit, over the bridge. At the next roundabout take the 3rd exit. Straight through the 1st set of traffic lights, straight through the next roundabout. Continue straight through the 2nd set of traffic lights. You will pass MacDonagh Junction on the left. Straight through the next set of traffic lights onto Johns Street in Kilkenny city. You will see the entrance for the Kilkenny River Court on your left just before the bridge. Approximate driving time from Cork Airport is 2 hours. 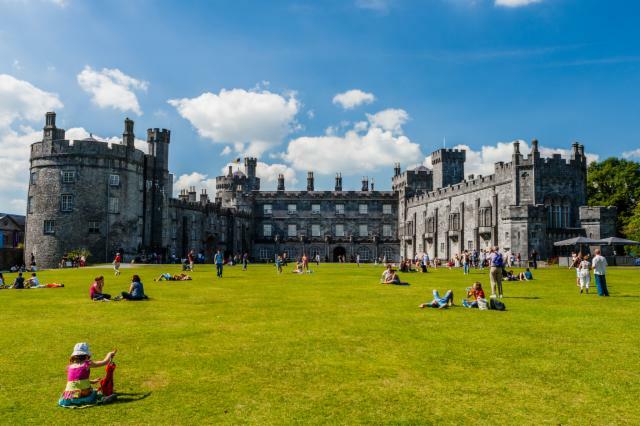 Using Kilkenny Castle as a landmark, the hotel is directly across the river from Kilkenny Castle. Entrance to the hotel is via the archway just over the Bridge on your right coming from the Parade/Rose Inn Street. Two archways lead into the car park; this is the main and only entrance. Matt the Millar’s Pub is located directly across the road from the Hotel entrance or the famous Langtons is located a few doors down on John Street.